Amber Loiselle came to the door of the house she shares with her mother in Leominster, Massachusetts, reluctantly. She was balancing her one-year-old daughter on her hip. Though she wouldn’t elaborate, she says she was warned not speak to the media anymore. “I'm just not willing to risk losing visits with my son,” she said. Loiselle hopes to one day regain custody of her son, 7-year-old Jack Loiselle, who is hospitalized and in state custody. She gave up guardianship to her mother before Jack’s first birthday. Last summer, Jack’s father was granted custody, but now 26-year-old Randall Lints is behind bars accused of beating and starving the Hardwick boy. When Jack was rushed to the hospital on July 14, doctors say he was in a coma and weighed just 38 pounds. New court documents reveal a heartbreaking home life for Jack who went to live with his father after the unemployed roofer gained custody of the boy last summer. According to a Massachusetts State Police affidavit, Lints often kept Jack locked in his bedroom and monitored his every move with an alarmed door and surveillance system he could access remotely on his phone. A State Trooper interviewed personnel at two social service organizations involved with the family and Jack was allegedly "forced to squat down against the wall as punishment, and was fed a limited diet that did not include any sugar and allowed few fluids as a means of controlling the toileting accidents he had when he was at home." Lints’ girlfriend and mother of his two other children allegedly told police she moved out of the couple's apartment because Jack had behavioral issues. 22-year-old Alexandrea Chadwick allegedly told police Jack was caught hitting and strangling one of his younger siblings and that he had once hurt a kitten so badly it had to be euthanized. She supported Lints's claim that Jack fell out of bed in the days before he was hospitalized and that the boy would hurt himself by "throwing himself against a wall, biting his fingers and toes and stabbing himself with a pencil." Another allegation Loiselle said she couldn't address. The affidavit also says Jack loved school but Lints used it as a punishment tool- not letting him attend class or do homework. We have called and emailed the superintendent several times to ask if school staff noticed signs of abuse or neglect, but the superintendent did not respond. Governor Baker, speaking from a visit to the capitol, is waiting for a state review of the case. “There were a lot of people who had a lot of eyes on Jack and we currently have an internal review and I'm going to wait until we get that internal review before I speak on this other stuff. This whole case is heartbreaking case for everybody involved and I think our goal is to make sure if we have this many eyes on kids going forward that we don't make the wrong decisions," Governor Baker said. She also claims she called police several times to report Lints behavior toward Jack, but Hardwick Police say they have no record of her ever contacting them. They provided necn with police logs from the last year and there were two notable incidents. One in February of this year where police say a child slipped in the bathtub and was unconscious, but they didn’t believe any crime had occurred. The other was in January of this year. Jack’s grandfather came to pick him up for a visit and, according to the report, Lints refused to let Jack go with him. The two argued and a Hardwick Police officer responded to the home on Bridge Street. 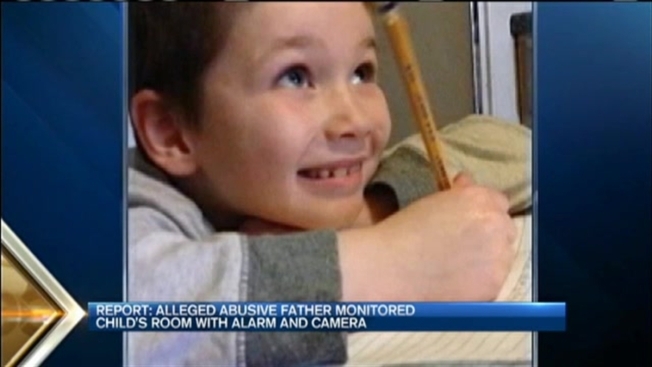 According to the report the officer found Jack hiding under his desk crying, but the officer said he was clean, well-dressed and that his bed was made and bedroom neat. When police asked Lints why he didn’t want Jack’s grandfather to take him for his visit, Lints allegedly told them Jack had been diagnosed with a specific condition (police did not release that information to necn), had anger issues and could become violent. Lints reportedly told the officer he wanted to get Jack to his therapist. Lints is in custody awaiting a dangerousness hearing that has been postponed until August 19 to give Lints’ new court-appointed lawyer time to prepare his case.